For more than two decades the StarCraft series has been providing role-playing enthusiasts with complex games of strategy set in the 26th century. Long ago StarCraft Brood War and StarCraft Remastered added enhanced features that have helped to create the real life parallel universe where players and their audiences continue to enjoy the fascinating strategies of these militaristic dramas that are played out online. Through esports betting audiences can experience a true sense of camaraderie by supporting their favourite players as they battle with an infinite number of global tournaments and world championships. If you are unfamiliar with StarCraft betting you will find it easy to understand and even easier to place a bet. What is StarCraft Brood War and StarCraft Remastered Betting? South Korea in particular has developed a thriving professional circuit which prompted the creation of KeSPA, the Korean esports Players’ Association. Competitions, tournaments and single matches attract a massive amount of lucrative sponsorships and contracts with television companies. Coverage is constantly available through online video platforms that specialise in esports entertainment such as Amazon’s Twitch TV and South Korea’s own AfreecaTV. You can join in the entertainment with real money StarCraft betting. There are many reliable and trustworthy online betting sites to choose from as you can see from the list at the top of this article. 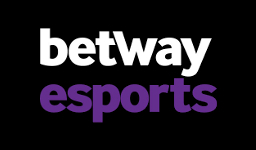 Each of them will have a real time display featuring the latest StarCraft betting odds which can fluctuate as in the betting of any other game or sport. 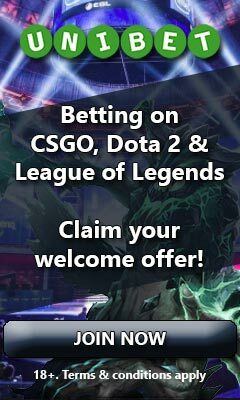 You can place real money wagers on a variety of predicted outcomes such as individual players or teams and the winners of matches or tournaments. There isn’t just a first past the post wager but complex bets predicting phases within a match. The more spectators understand and appreciate the strategy involved, the greater their enjoyment of the matches and the art of SCBW betting will be. If you would like to participate in StarCraft betting, you can increase your chances of success by studying individual players’ profiles and detailed match histories including their strategic strengths and weaknesses against other players. How does StarCraft Betting work? When you wager money on StarCraft the betting structure isn’t the same as in horse racing. It’s in a format more similar to spread betting where the amount you win is a simple multiplication of your stake. StarCraft odds are quoted as straightforward numbers such as 1.50 or 2.10 and you will usually find online betting sites include calculators to help you determine your potential winnings. 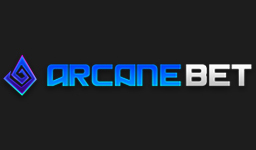 Where the fun really starts in StarCraft betting is what you can place wagers on. One of the most popular bets is predicting the match winner. This bet is also referred to as a head to head, a straight or a money line. The prices quoted are based on the online betting site’s perception of the individual players’ skills and potential as winners. Placing an SCBW wager on an outright winner means you are choosing the victor of an entire tournament rather than a particular match. Each match has several phases or maps to test the players’ strategic skills. This bet allows you to predict who might win each map. A variation of this is placing a wager on a correct map score which is similar to a football score. You can also predict the number of matches a particular player might win during a tournament. Most spectators develop a natural affinity with different wagering options for StarCraft betting or StarCraft Remastered betting. Why should you bet on StarCraft Brood War and StarCraft Remastered? The audiences watching StarCraft tournaments have reached phenomenal levels over the years. Live streaming on Twitch, AfreecaTV and even occasional viewings on traditional television has made tournaments instantly accessible. StarCraft betting or StarCraft Remastered betting adds a level of involvement for the spectators. The whole point of betting on StarCraft is to have fun and enjoy yourself as a participant rather than a bystander. Bets need only be small to create an atmosphere of excitement. Placing large bets can have the opposite effect by causing stress and anxiety over the amounts involved. Organisations such as BeGambleAware.org are always on hand to help if you think your wagering is irresponsible. However, it’s through StarCraft betting that many spectators are prompted to immerse themselves in the StarCraft fantasy world. Some will spend hours analysing how different players approach various aspects of their strategies and tactics. They will acquire a deep appreciation of the skills involved. Placing successful wagers is a talent in its own right. Since 2017, the StarCraft series has been available as a free download which should provide a thorough knowledge of the game to help you evaluate the players’ skills. Where can I start betting on StarCraft? Always ensure that your StarCraft betting activity is only conducted through a reputable online site that’s fully licenced. Some of the most well-known are listed at the top of this article and you’ll no doubt agree that there are plenty to choose from. One thing in a spectator’s favour is that there is a great deal of competition between the different sites resulting in special offers and welcome bonus packs when you open an account. A typical welcome bonus includes a 100% free bets package on your first deposit. Some sites emphasise continued customer loyalty. Take time to check them all out before registering. If you have decided to set yourself a certain limit for betting you can increase the size of your available funds considerably with prize money from these free bets. You can pay for your SCBW betting fun by a number of methods such as bank transfer, credit or debit cards and online money wallets including PayPal. Some will even accept e-currencies. Your data will be safely stored and through encrypted security monetary transactions will be free of fraud. 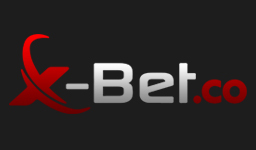 You can place online bets at any time every day of the year providing perfect accessibility. The prices for betting are displayed in real time to help keep you updated on the form of the participating players. Many of the stalwarts of the game have been playing StarCraft since they were in their teens. When the StarCraft circuit for professional players became established it was mainly centred in South Korea. Intense TV coverage and interest from sponsors have produced many lucrative contracts. Players at the peak of their game regularly earn four figure salaries. Red Na Da, alias Lee Yun-Yeol, reportedly earns six figures. Prize money for an individual match can be very generous. One such encounter entitled “The Ultimate Title Fight” between Bisu (Kim Taek Yang) and Jaedong (Lee Jae Dong) included a sequence of five matches and a reward of twenty-five thousand American dollars. Other famous names include Flash, Larva and Rain. Victories in 2018 have brought rewards of two million Korean won (£1,300) for Soulkey and forty-eight million Korean won (£32,500) for EffOrt. Professional players such as Hero, Miso and Dewalt take their gaming strategy very seriously and regularly train for days practising different tactics to ensure they have the best possible chance of success. Although the game play takes place online, many professional players prefer to visit a game’s venue in person to eliminate the problems of a time lag slowing their tactics. College clubs have become established in America with teams from Princeton and Rutgers universities leading the field in the Collegiate Star League. Matches in the StarCraft series feature the life and death struggles between three species of aliens who are constantly at war with each other. Players choose to represent the humanoid Terran, the Protoss or the Zerg, a colony of insects. These factions appear in hundreds of tournaments held throughout the year with matches available on a daily basis. The World Championship series is by far the largest competition and features qualifying matches from different global regions such as Oceania. Play typically consists of a two stage format with sixteen players progressing to the final bout where just two places are available for the Championship finals. When participating in StarCraft betting there are plenty of games available for you to choose from. Some of the main matches are played in the MBC Game StarCraft League (MSL), the OnGame Net Starleague (OSL) and the Afreeca TV Starleague (ASL). Other competitions include the Global StarCraft II League (GSL). Each year the players who have reached the top ten rankings enter a two phase competition known as the Blizzard Cup. Whether you decide to place bets or not, the StarCraft BroodWar and Remastered series provide enthralling entertainment. 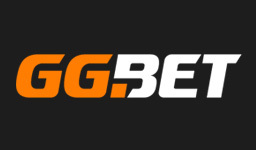 If you do want to add that extra, exciting edge to your experience, placing wagers is quick, easy and worry-free with reputable online betting sites. With an interesting choice of bets and a simple multiplier system, you will soon be enjoying real money prizes while you watch some fascinating games.